A student’s life is all about attending classes, completing assignments, figuring out how to spend time with friends, taking part in extra-curricular activities, completing the project, preparing for the quiz, and then spending the rest of the time with family. Now you will agree that this turns out too much for them. Slowly the student loses track of what they should be doing when to complete all activities effectively. 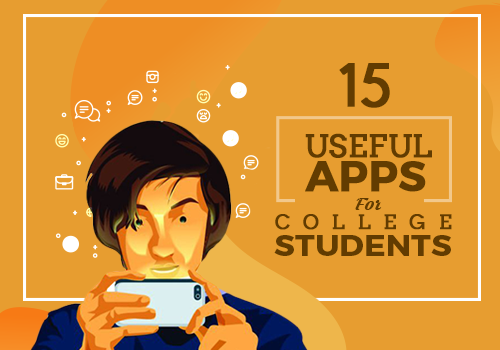 A student planner app is the best solution to ameliorate such a problem. 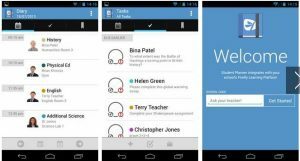 Such an app can help a student in the right measure to organize his/her homework and keep track of all the activities that he/she involves in. 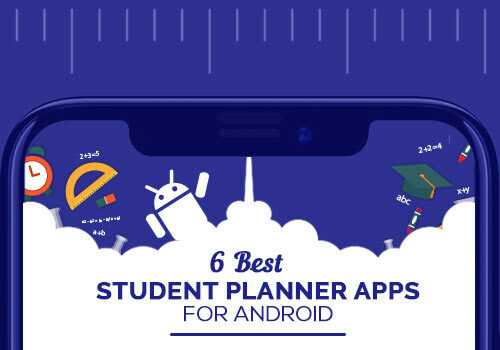 We have taken the effort to provide information about some very helpful student planner apps that work on Android machines. This app is free. 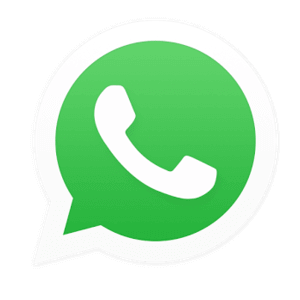 It works even if you are still having one of the older android phones and you do not have too much storage space left. This is because it is small-sized. It works fast and is very efficient. 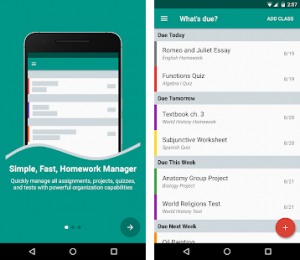 This app is designed to help the student with basic homework management. Student can set alarms to serve as reminders. This is yet another simple homework planner app that the students can use to improve their efficiency. 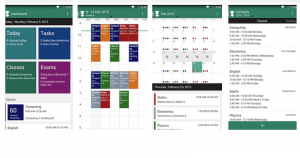 The ‘Student Planner’ is unique in that it allows the student to create and use a timetable quickly for their class work or even their private study schedule with the help of a simple UI that any student can use with ease. 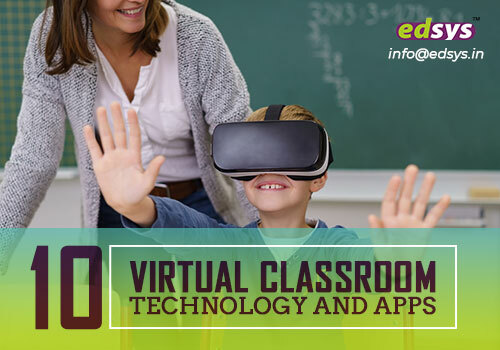 The app also provides the facility of adding an assignment/test to any subject. The student can also set a reminder for the same. . The app does not have any provision for backup nor can it be synced with other apps. 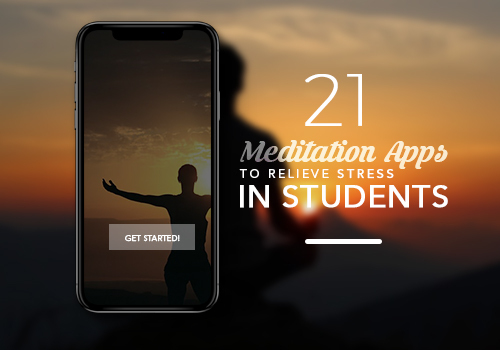 Any student can get started up with this app quickly.. 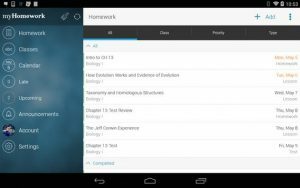 The app has an option to choose any subject and view all the assignments and tests of this subject along with the corresponding dates. This is of great convenience to the students as it helps them to plan in advance. The assignments/projects appear as cards that can be done away with after completion. The app does not have the option for a timetable. The most recent update has the provision to view a whole month of specified tests and projects for each subject. There is provision for either sync or backup. 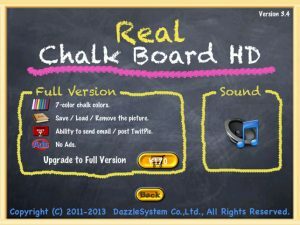 ChalkBoard is a simple app to use but comes with some attractive features. As soon as the app is started, it prompts the student to fill up timetable slots with subjects and their respective teachers. Though this takes up some time to set up, the app comes to life after this activity. Whereas the Classes tab in the Home screen displays upcoming classes, the Events tab shows the pending assignments and projects. The student can also add new projects. The View mode can be altered to the classes and projects in a subject-wise manner. However, there is no calendar view that is available in the app. 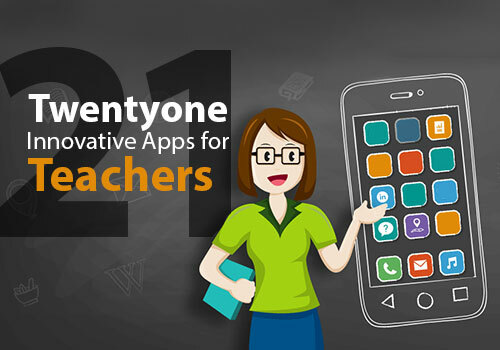 This is an extensive app that can be used by any student and it is rich in features. Most of the features that a student may need during their life in school are available in School Planner. 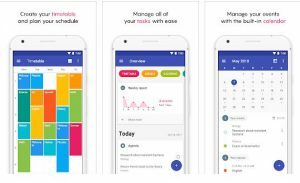 It allows a student to organize homework and timetables, track daily attendance and grades in exams/tests, add teacher contacts, add lectures (recorded ones), etc. Because of the many features that are available, School Planner requires some time to initialize or set up. This is because a lot of data has to be entered at the start of the app to function well. Once this is done, School Planner is just about the best student planner app that a school-goer can use. 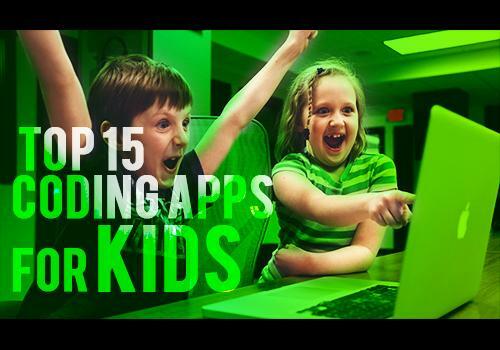 With all these features the app loads and executes with speed. However, the app is slightly larger in size. 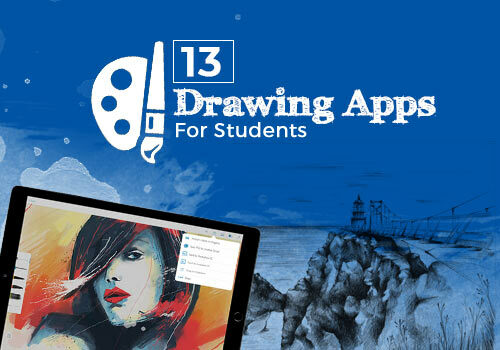 The icing on the cake is that School Planner is a free app. This is a pure and simple homework app. The best part of My Study Life is that there is a web version of the app that is available. 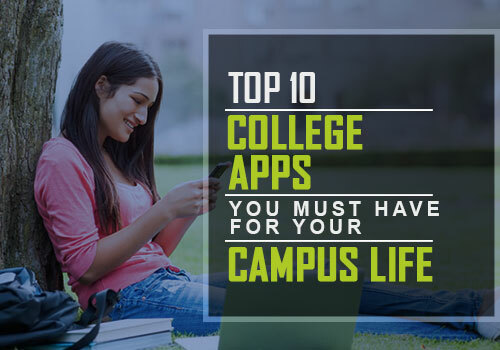 Therefore the student can access this app and the data from any device that is available. The app is differently designed in that there are no card-based tasks as in many other apps of this genre. 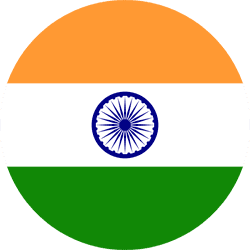 Instead, the app functions in a goal-centric manner letting the student know as to what is completed and how much of the task still remains. The student is able to view the timetable, the assignment deadlines, classes and projects on a single screen. Classes can be managed in many ways: timetables, day/week rotation, etc. 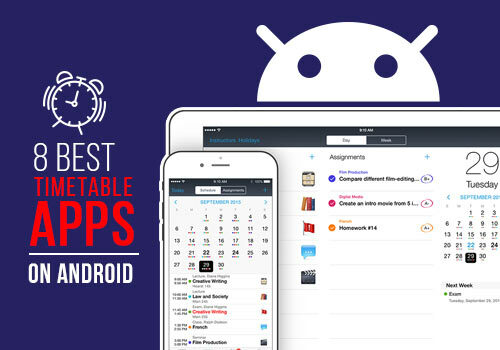 The above are some of the best Android student planner apps that are available. 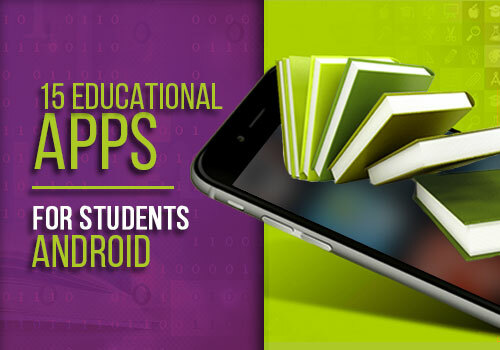 This list will help any student to pick the best android app to plan their study activities in school and at home.